In Sharon Lockhart’s newest film Rudzienko (2016), teenage girls cope with the anxieties of adolescence—fear, loneliness, distrust, self-doubt, parental misunderstanding, the longing for friendship and love—while reconnecting to the lost vestiges of childhood. Set amidst the quietude of the open fields and woods of Rudzienko, a small village in East-Central Poland near Warsaw, for which both the film and recent exhibition at The Arts Club of Chicago is named, the work offers a compassionate yet coolly distanced portrait of female youth. An untitled poem by one girl (Andzelika Szczepanska) scrolls in English across the screen in The Arts Club’s small corner gallery, expressing sentiments of loneliness, hurt, and isolation. 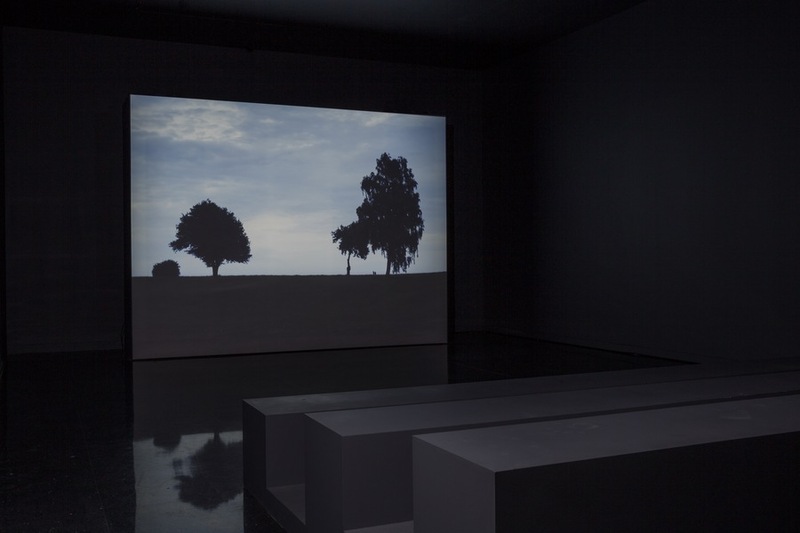 A voice-over of her reading it in Polish serves as the soundtrack and prologue to the main installation of the exhibition in an adjacent gallery, which is transformed into a theatrical black box. Projected floor-to-ceiling, the approximately 40-minute long film unfolds slowly; each scene, with a new cast of characters, quietly fades into another as a series of related, yet independent tableaus. Employing a cinéma vérité documentary style, alongside the artist’s signature full-frame, fixed-camera views, Lockhart achieves a stillness and slowness that demands a committed viewing. Such techniques often hope to elicit within the viewer the same kind of deep engagement and empathy that Lockhart has for her subjects. This challenge is met most successfully in the scenes that appear less controlled or staged, including one where two young women slow dance in a tender embrace oblivious to the camera’s gaze. In one of the film’s defining moments, fear turns to laughter when one teen is unable to jump to the other side of a broken bridge that her friend crosses effortlessly. But Rudzienko is as much about landscape as it is the lives of the young women we encounter, and often it is these images that resonate the most, at least with this viewer. In the opening scene, a man rides his bike down a country road; the viewer is suspended within a sunlit vista—as evening falls, two girls hidden within the branches of a tree suddenly emerge and run away. The film ends with a similarly panoramic view of a grassy meadow at dusk; though, the solitary expanse is interrupted when a group of girls, at first concealed, rise at once to run out of the camera’s view. In another vignette, two figures walking along a distant horizon silhouetted by lush trees recalls the haunting landscapes of Caspar David Friedrich. These types of referents to art-historical painting (Courbet, Millet) and landscape photography are intentional. Lockhart operates on a dual register, bringing a photographic lens to her filmmaking and a cinematic approach to her photographs. This is evident within the exhibition in three images from her related series When You’re Free, You Run in the Dark (2016). 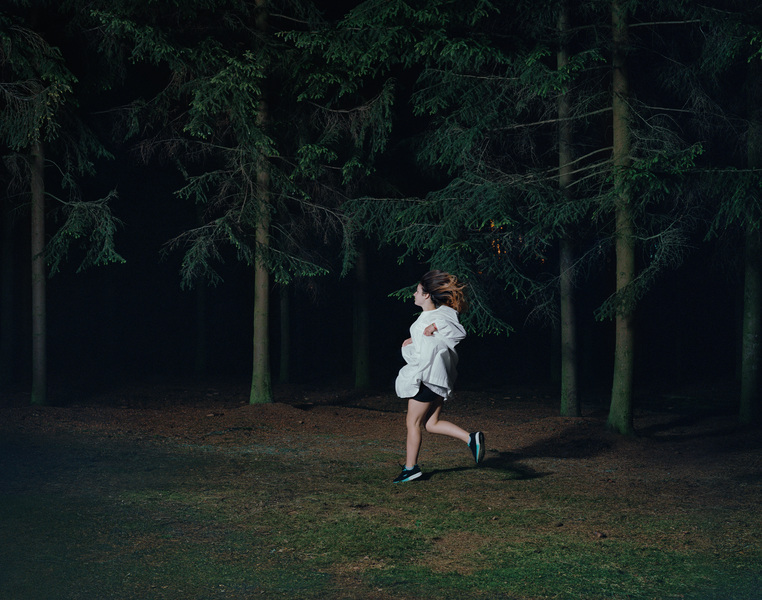 Each photograph captures a young girl, dramatically lit with her face hidden from the viewer, either running or dancing (the catalyst for the captured movement is unclear) at the edge of a wooded area at night. Lockhart embeds herself within her chosen communities and geographic sites, although our understanding of the cultural context for the work in Rudzienko is oddly absent. The complexities of present-day Poland—with its right-wing government, a powerful and influential Catholic church, strict abortion laws, high unemployment among youth—alongside the legacies of its socialist past, give way to a kind of universal portrait of female adolescence disconnected from current political realities. On the other hand, societal constructions of identity are subtly revealed when juxtaposed with Lockhart’s re-photographed snapshots of her own family installed in The Arts Club’s hallways, where images of the artist as a young girl playing with her siblings or vacationing at the beach create an idealized portrait of American youth decidedly other. Missing too is Milena, the artist’s muse and central protagonist, whose presence in The Arts Club show in only intimated by the title of a single photograph, Milena, Radawa (2016), depicting black-and-white studies of children taped to an aquamarine wall. Lockhart first met Milena in 2009 while shooting Podworka (2009), a short film that observes young children playing in the courtyards of Łódź, a Polish industrial city and an important center for film. She has since appeared in several of Lockhart’s other works, including Antoine/Milena (2015), a film based on the final scene of François Truffaut’s The 400 Blows. Although exhibited elsewhere, most recently at Gladstone Gallery, this exhibition might have benefited from the inclusion of some of these related works, offering a broader, more intimate view of Milena, whose identity frames the issues of selfhood at the core of Rudzienko. 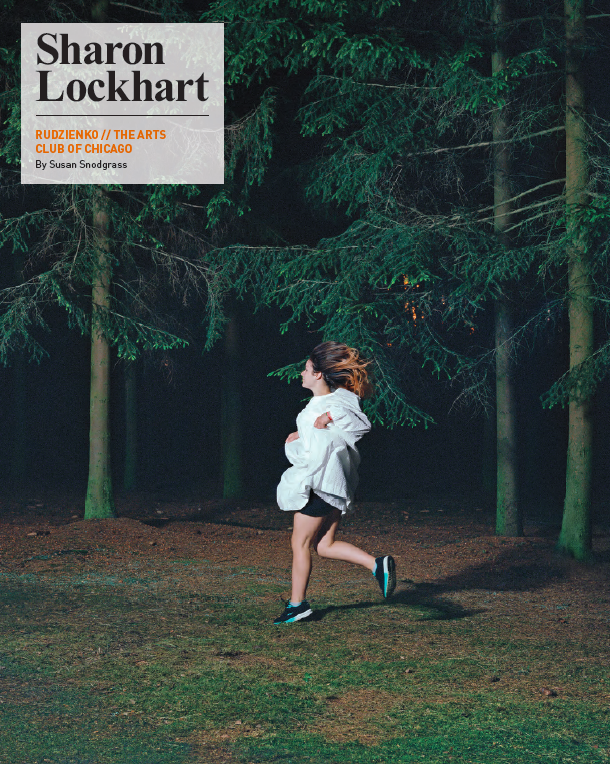 Working at the intersection of portraiture, documentary, and social practice, Lockhart’s ethnographic approach seems, at times, overly aestheticized and detached; her subjects observed versus known. Yet, in the end, it is this nebulous space between truth and subjectivity that makes Rudzienko so compelling. Sharon Lockhart: Rudzienko at The Arts Club of Chicago ran from May 12–August 13, 2016. September 20, 2016 | Filed under Art Seen: International and tagged with Rudzienko, Sharon Lockhart, Susan Snodgrass, The Arts Club of Chicago.